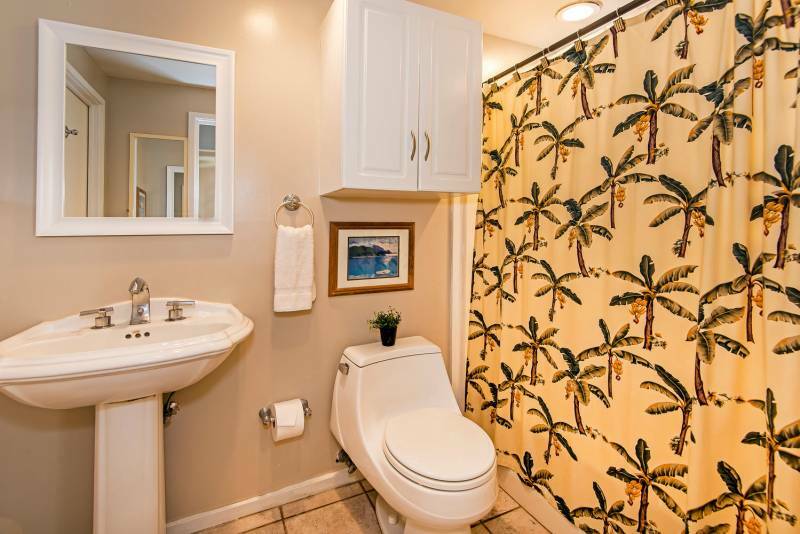 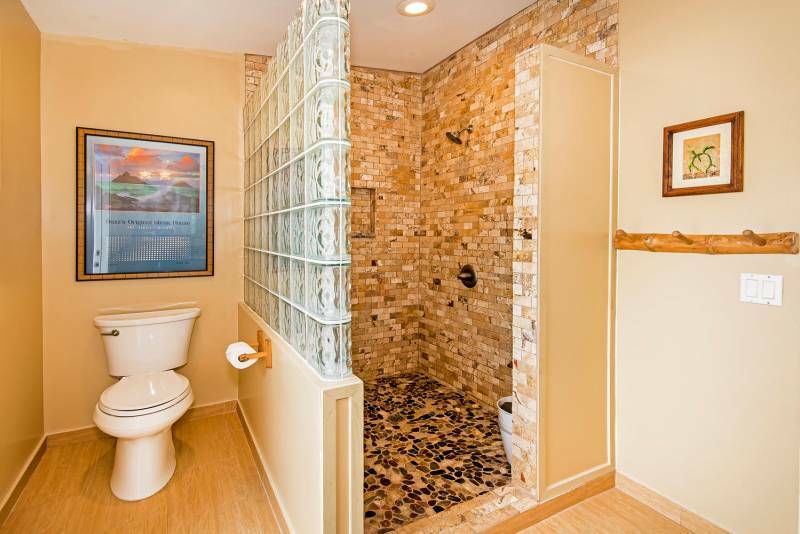 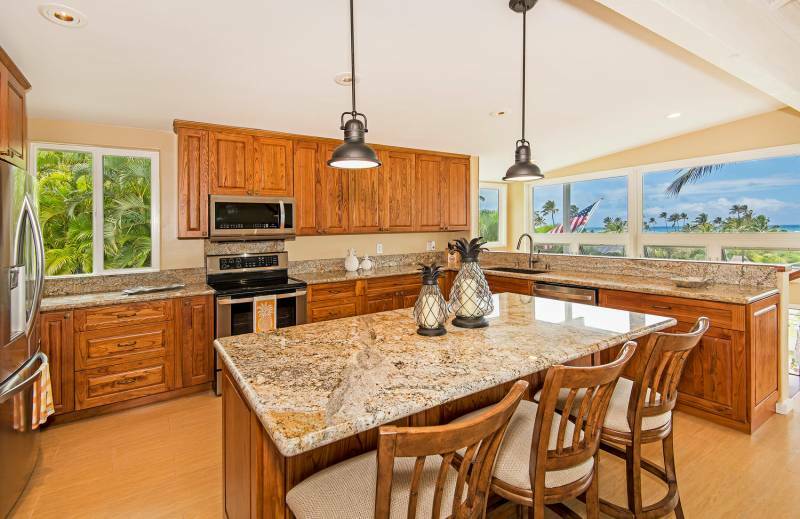 Beautifully renovated in 2017, this home features a brand NEW gourmet kitchen and appliances, baths, porcelain tile floors, roof (2016), vinyl windows, interior/exterior painting, and exterior private shower convenient for rinsing off after a day at the beach. 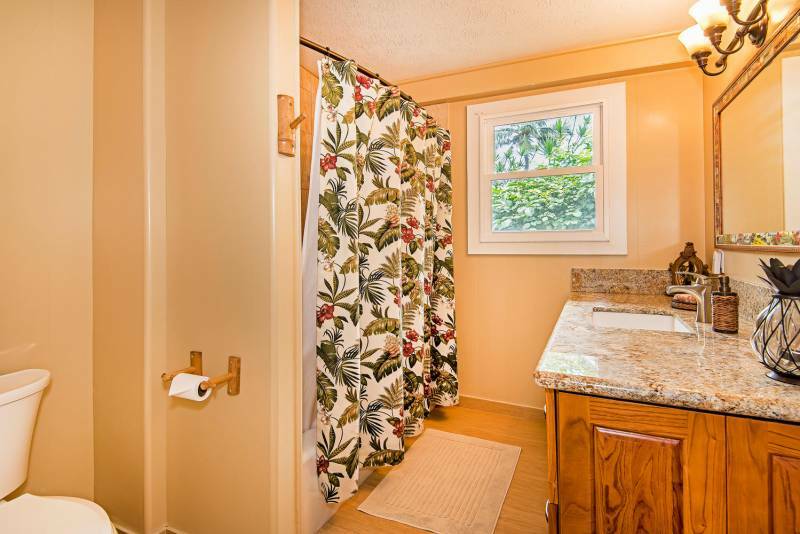 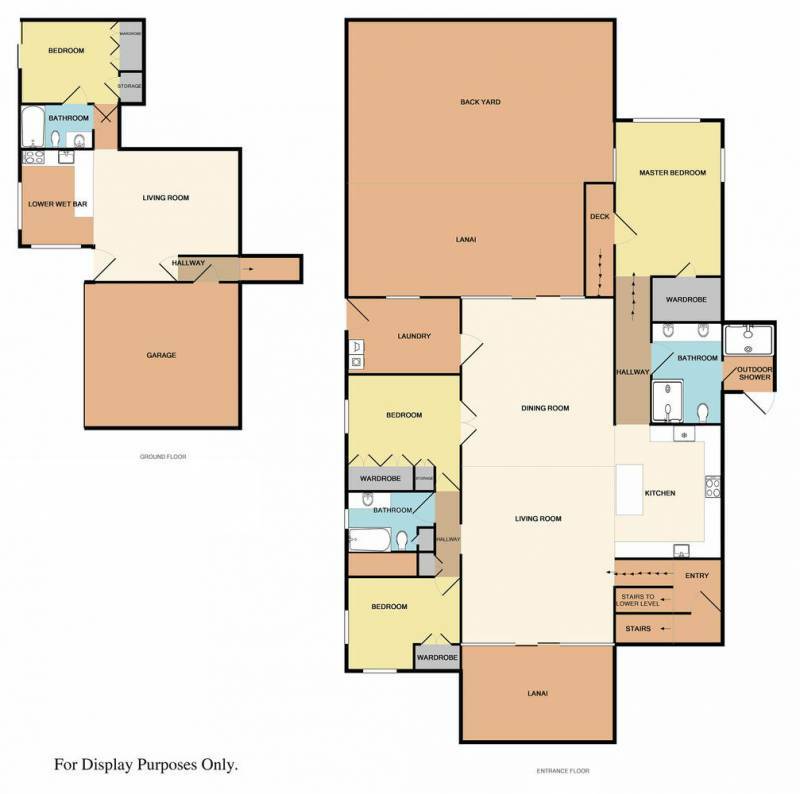 Open bright floor plan provides great airflow and a functional layout with the master suite situated on one side of the house and two bedrooms/bath on the other side. 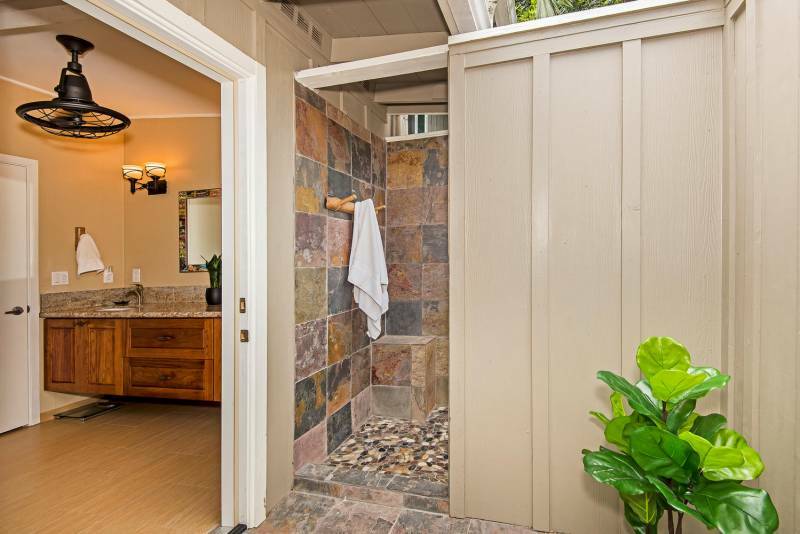 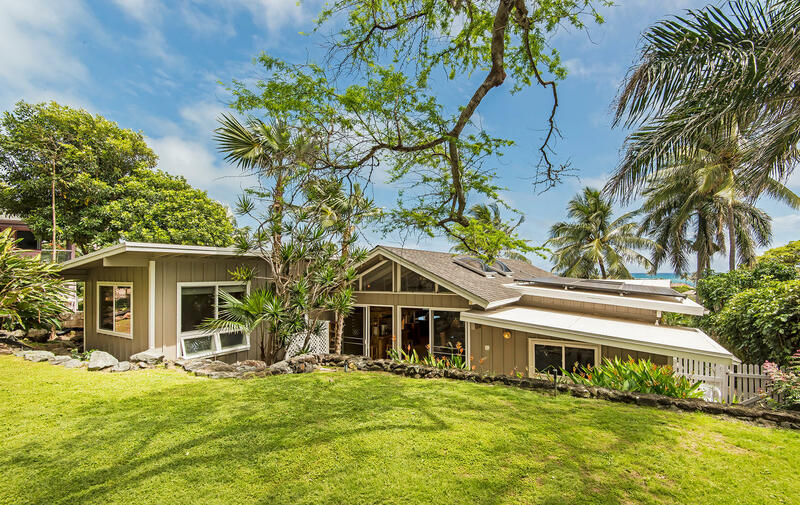 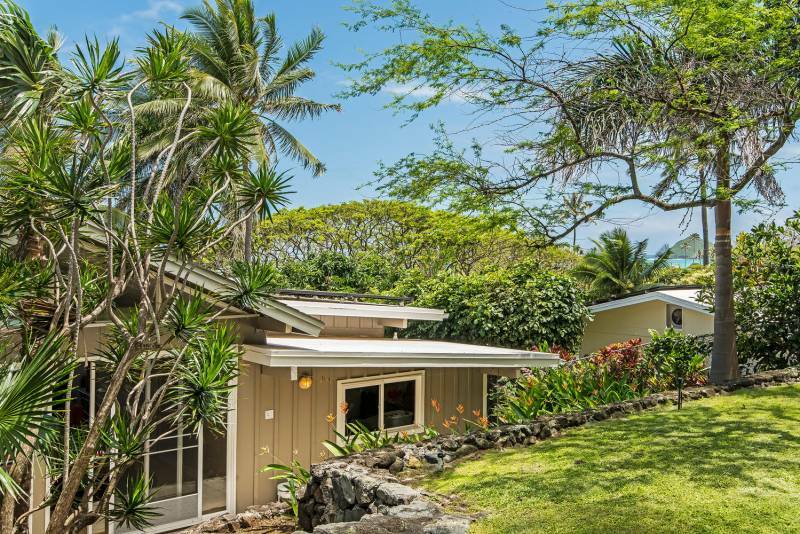 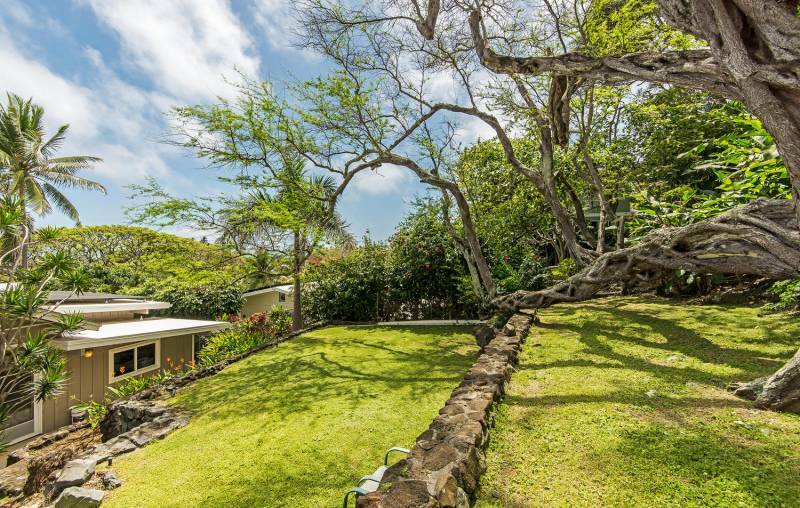 Additional highlights include a 39-panel PV system by RevoluSun with Net Metering, solar water, solar fans, skylights, high ceilings, oversized laundry/utility room, and level grassy backyard with a majestic old Kiawe tree. 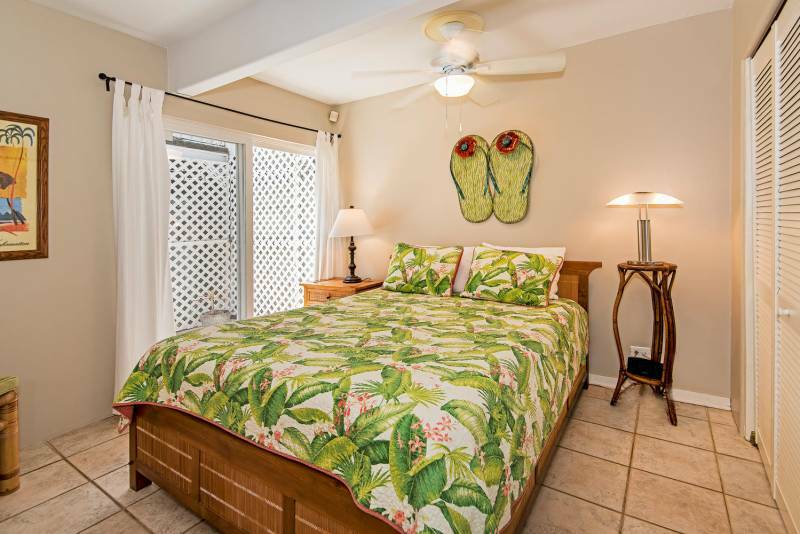 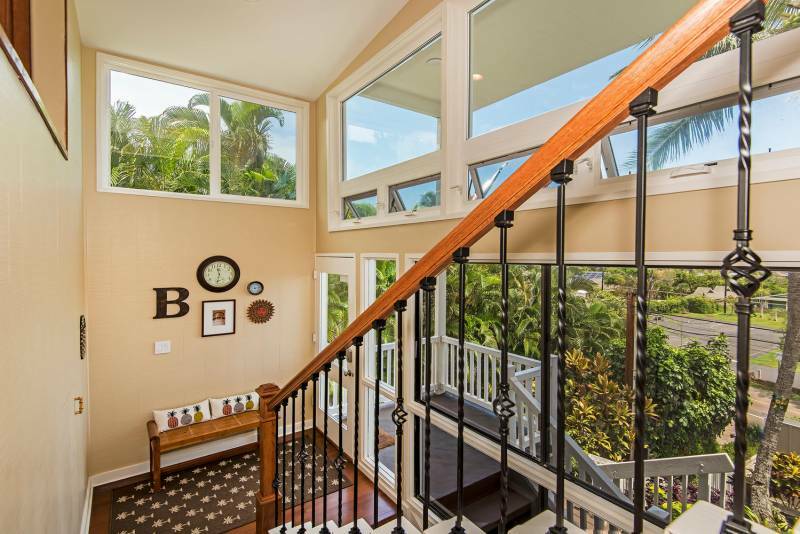 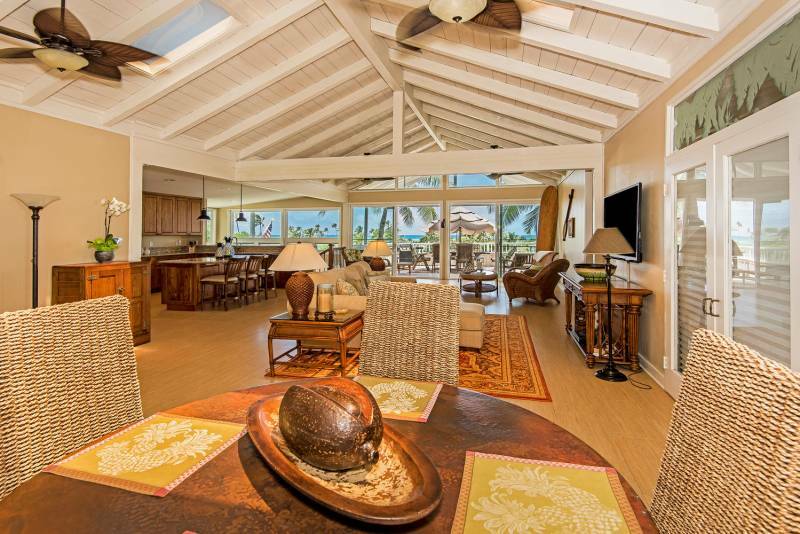 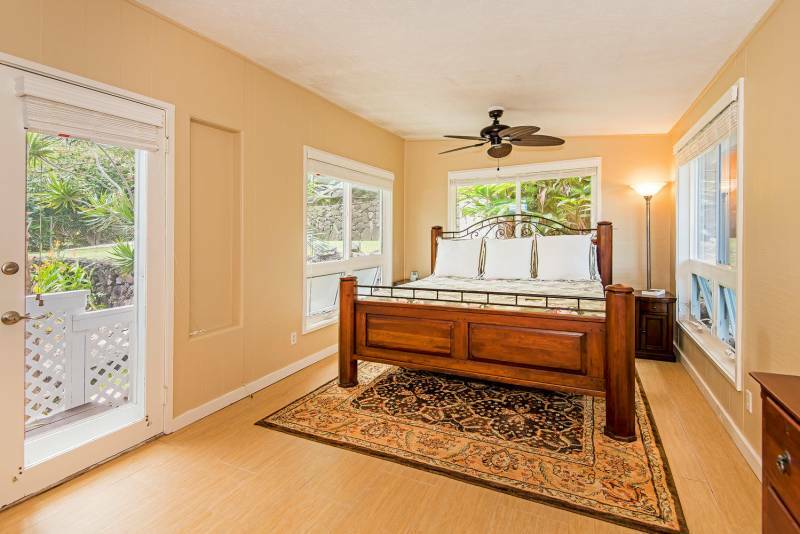 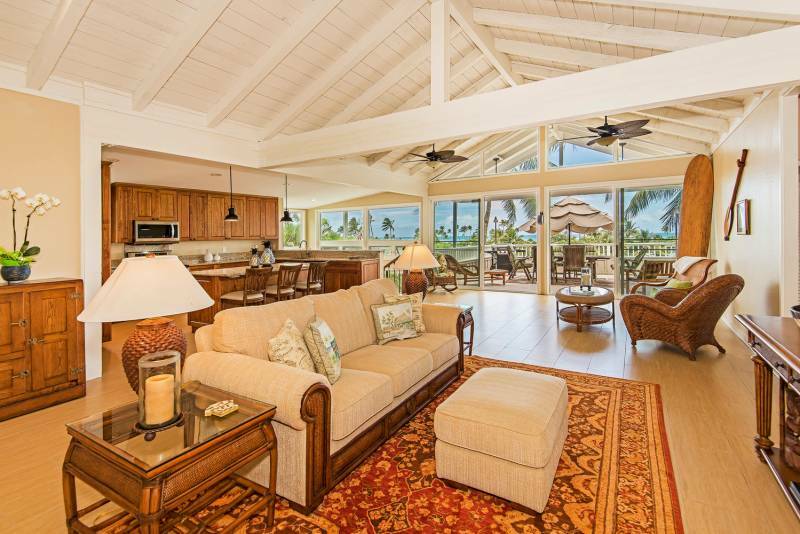 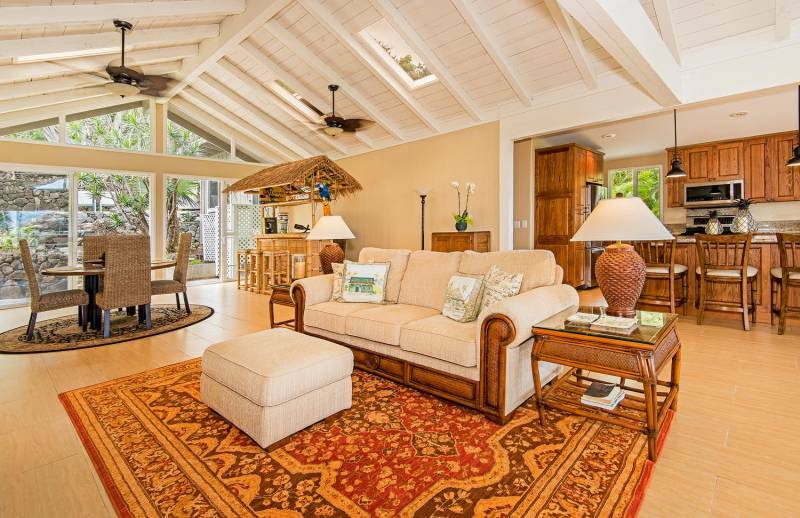 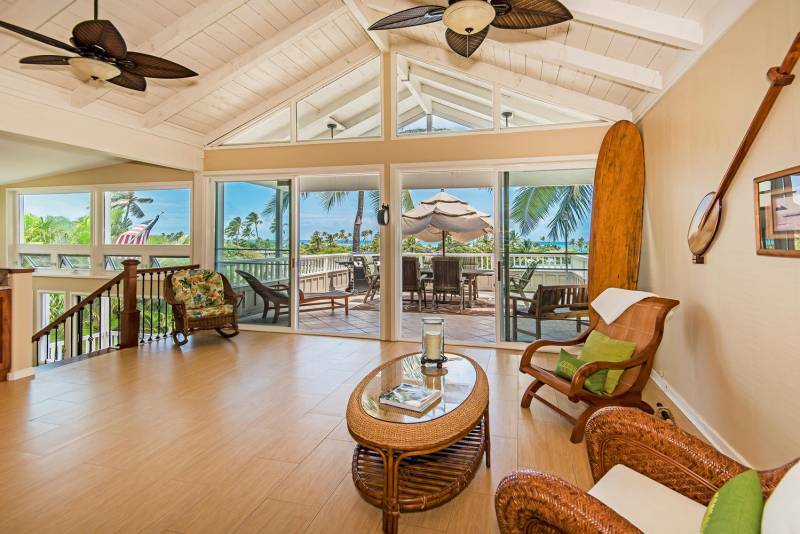 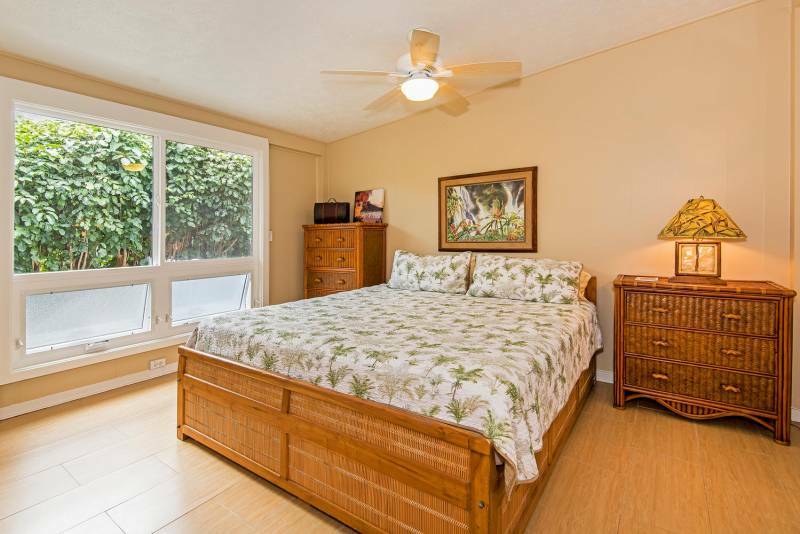 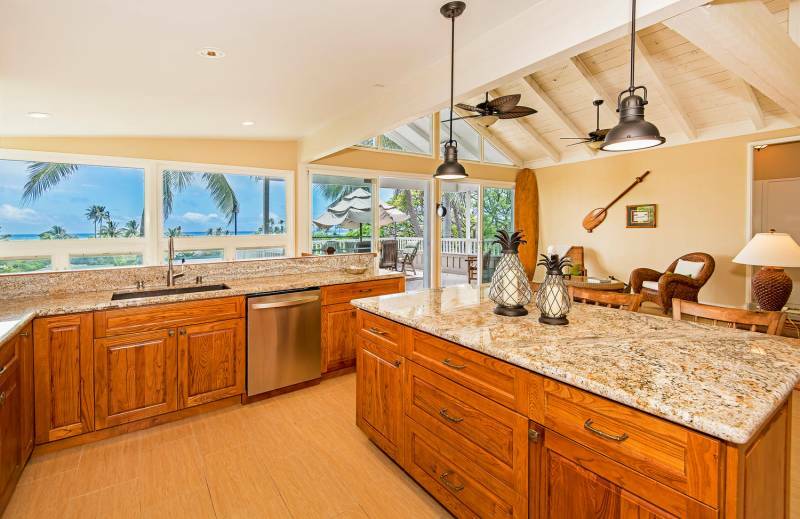 Relax on the spacious lanai overlooking Lanikai park with ocean views. 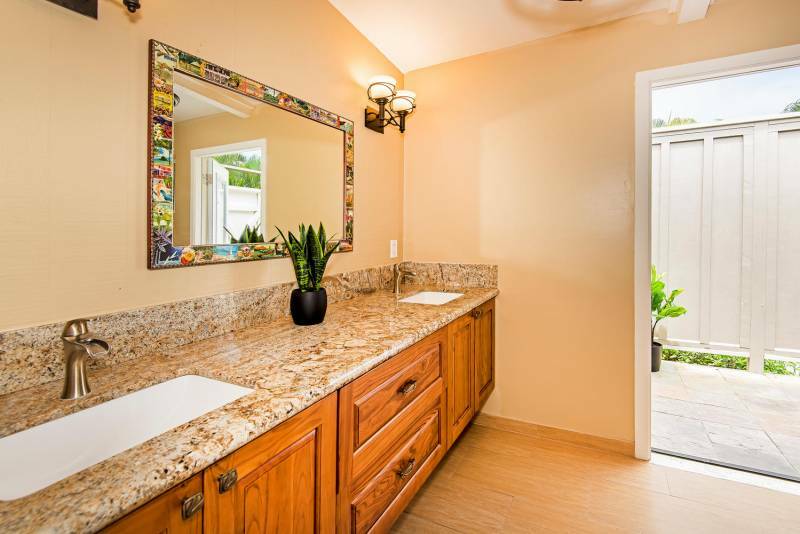 This home features a flexible floor plan with 3 bedrooms, 2 baths on the upper level and a 1 bedroom, 1 bath with wet bar on the lower level with interior/exterior entrances offering rental opportunities for investors or perfect for family and friends. 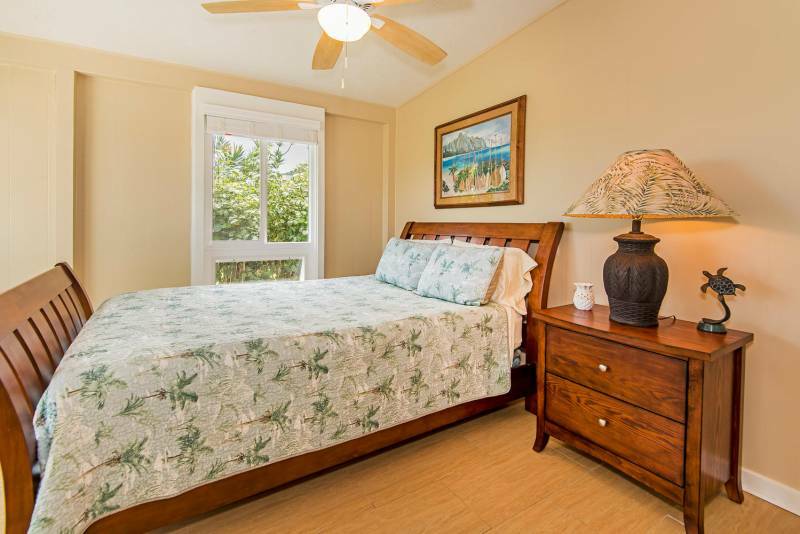 Available furnished and turnkey. 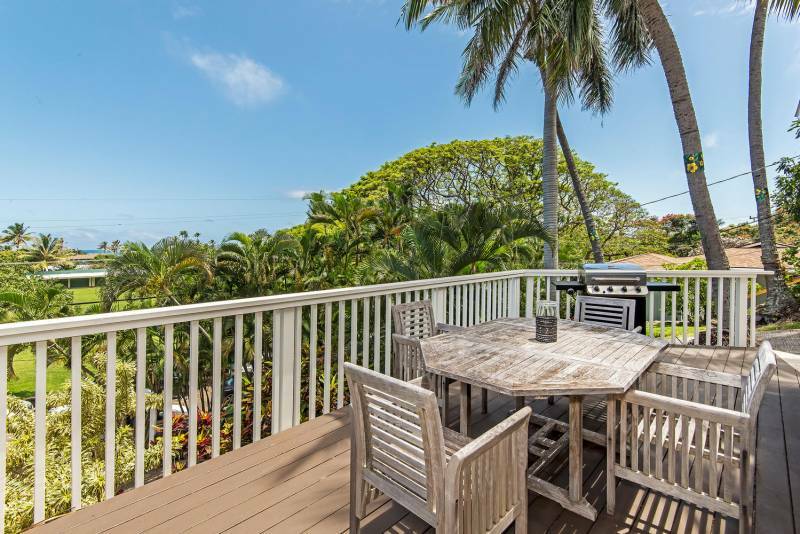 Centrally located just one block to famous Lanikai Beach and in the preferred Ka’ohao (Lanikai) Elementary school district—the perfect spot to enjoy the beach, park, plays, craft fairs…everything Lanikai! 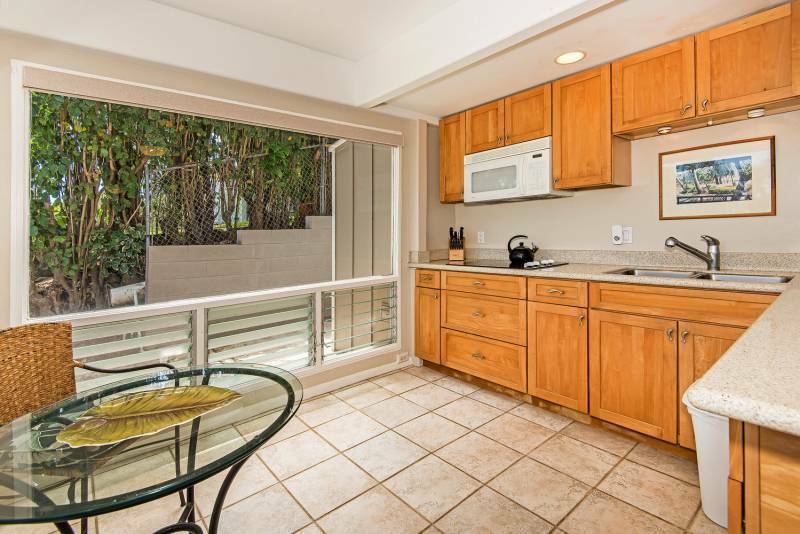 View the Virtual Tour here. 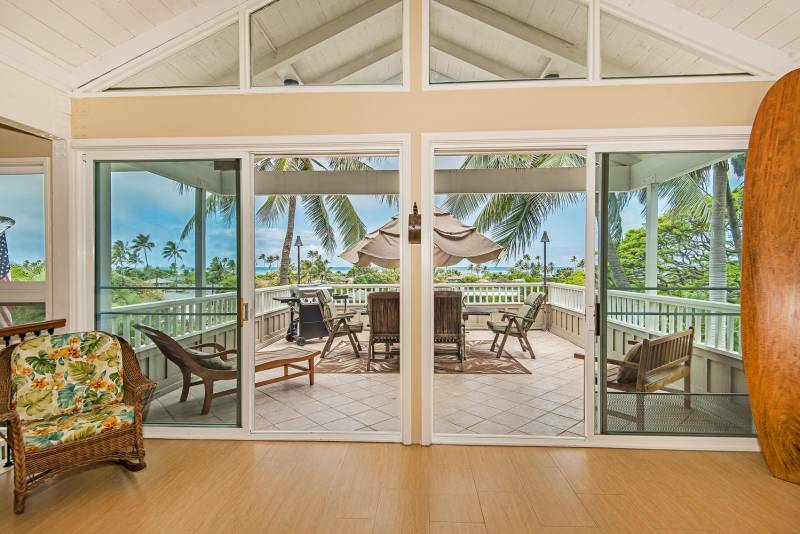 Cynthia Nash is a REALTOR(B), CRS, GRI with Hawai'i Life. 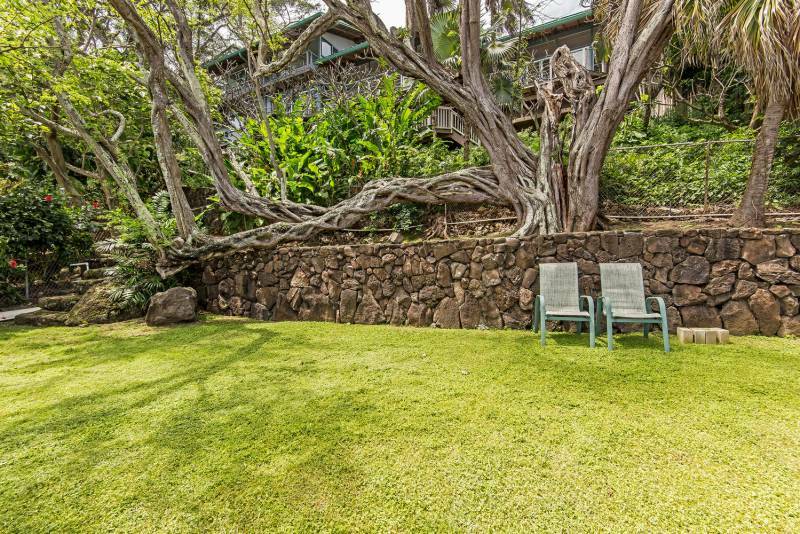 You can email me at	CynthiaNash@HawaiiLife.com	or via phone at (808) 222-3291.